I bought the parts to do the cable motion transfer system for Godzilla. Here are some quick sketches of how it will work. 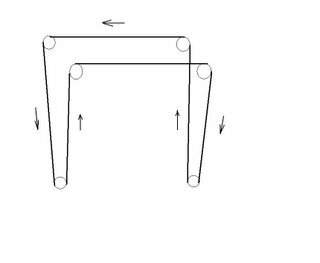 The y-axis (vertical) cabling is a very standard parallel bar pulley and cable arrangement that you used to see on drafting tables. The parallel bar in this case is the x-axis (horizontal). This arrangement will be done on both sides of the x-axis beam, front and back. The vertical cable paths will lie on the same line as the y-axis threaded drive shaft that will move the x-axis beam up and down. The z-axis layout is slightly more complicated, but not greatly. Cable moves from the left z-axis assembly to the right across the top (back) of Godzilla. I've not shown a turnbuckle and spring in this one that I'll be including. The two inner cable tracks with the upward pointing arrows will be attached to the centre-line of the y-axis towers. I'm blaming it on Ed. That's my story and I'm sticking to it. ...and away I went. Half an hour with my whiteboard and markers and I have a plan. As you can see the Frankenmotor sets into the Z-axis mounting bulkhead with no problems whatsoever. In the second pic you can see my duct tape coupling connecting the motor to the threaded drive rod. Interestingly, I've been running the y-axis tower back and forth for two days now and the coupling is just as good as when I wrapped the joint. Here is a link to a Quicktime movie of the z-axis doing its 38 mm/sec act. Please take note that the axis in operation is not a hundredth as loud as it sounds like on the movie. My son's camera microphone is adjusted to pick up conversation and rather quiet conversation from a considerable distance at that. The axis in operation comes out sounding like a jackhammer operated by a deranged chimpanzee. Getting the 0.8mm nozzle on the current 3D axis/extruder setup showed that we're basically on the right track, but the trail deposited by the 0.8mm nozzle was far too big. Also, the rather flat profile of the 0.8mm nozzle tended to drag plastic trails around the surface of the workpiece. So I made a 0.5mm nozzle with a more conical profile. This extrudes a 0.8mm filament, which with care and attention might make a trail narrower than 1mm. Maybe even not too far away from the Stratasys' 0.6mm minimum reliable extrusion width. Interchangeable nozzles continue to be a great idea. 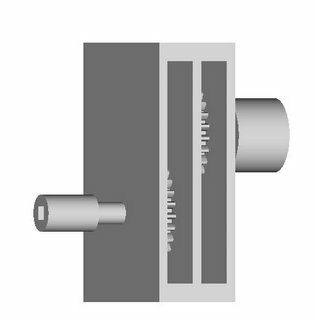 But lo, the pressure generated inside the extrusion mechanism is higher with the smaller nozzle, even when the motor speed is decreased to allow for the reduced throughput. This means that the feed mechanism is now much less tolerant of dodgy feedstock, and I have had a great number of jams with my last batch of somewhat lumpy feedstock. After a few attempts and unjammings, the entire heater barrel assembly was extruded from the PTFE rod. It just popped out. Now, I'll freely admit that the original tapping of the PTFE wasn't the world's best, but all the same I wasn't happy. Fortunately I had a section fo 16mm diameter PTFE and a clamp modified to hold same. As this wouldn't fit in the Afghan lathe, I drilled it manually - hence the 3mm off-centre hole at the far end. Instead of tapping 15mm of M6 thread to hold the heater barrel, I tapped 20mm. Not only that, but I used a pilot hole of 4.5mm rather than the normal 5mm hole used for M6 tapping. I took the heater barrel off the old concrete extruder because it had a longer bit of thread sticking out the back of it and re-assembled. After a few more jams, the new thermostat algorithm started playing up, and the extruder heater would inexplicably just turn off. I've asked Simon if we can re-implement the old "bang-bang" algorithm, which seemed to be more reliable and resulted in far fewer pauses for the element to re-attain working temperature. I never managed to complete a single layer of the test articles using the new nozzle, but I'll try again later in the week once the bang-bang thermostat is re-instated. The output that was produced looked good as far as it went, and once I get the layer's thickness sorted out it should produce some tidy results. Might make some neater feedstock too. 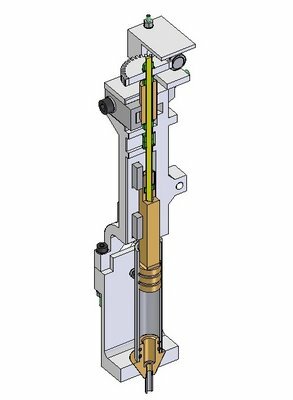 Discovering plateaus of very smooth performance (reported in our sourceforge forum) of the threaded rod drive axes last night got me to thinking about what a next generation RepRap might look like. I hadn't expected to get a Godzilla axis running at 38 mm/sec under any circumstances, never mind smoothly enough to think about extruding at that speed. Actually, using our dodge of extruding on a diagonal we would get 38*2^.5 or about 54 mm/sec. 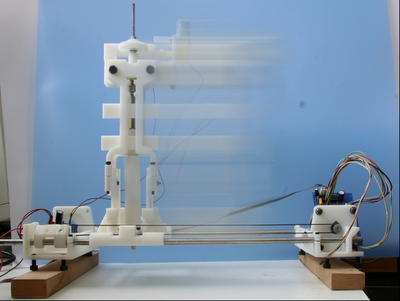 I spent a little time this morning wondering what a RepRap operating at those extrusion speeds would look like. First off, a long time ago I figured that the Mk II would extrude 2.83 cubic centimers of polymer/hr operating at 4 mm/sec. I most likely underestimated the extrusion rate in that I assumed, those being very early days, that the polymer thread would not expand after having left the 0.5 mm extruder orifice. Subsequent experience has shown that the thread expands as much as a third. 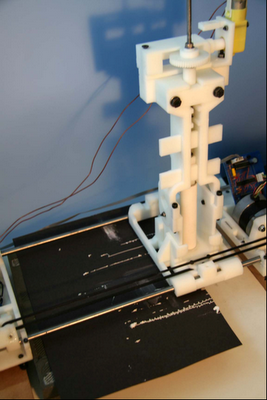 That would mean that in reality the Mk II was extruding something like 3.8 cm^3/hr. What would a RepRap capable of putting polymer down at a rate of 54 mm/sec perform like? 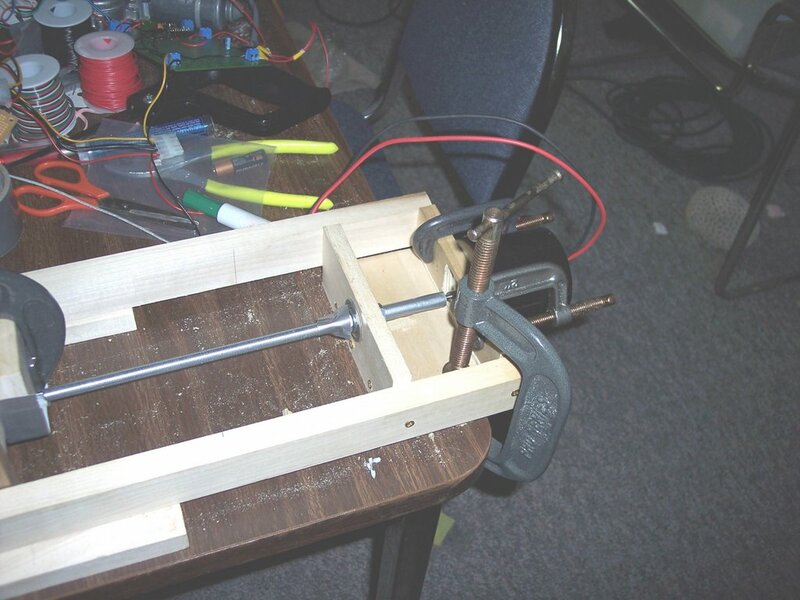 In home use such a RepRap would likely see an 8 hour duty cycle daily, which would mean 12 kg/month or 146 kg/year. That is still a lot of polymer seeing that it costs about US$12/kg. When I first built Godzilla I did a volumetric quantity survey of the structure. A one-for-one poplar to polymer replacement meant that it would take about 7 kg of polymer to replace its structure. Godzilla could replicate itself in 17 days or make 21 copies of itself in a year. That would be pretty much unstoppable as a diffusing technology. Just for fun I tried to scale up the Mk II to something that would be able to put out polymer at this rate to see what the design envelope looked like. Using 3 mm filament the feed mechanism would have to run at a rate of .15 mm/sec or 9 mm/minute. Given that the M3 studding rod we are using as a drive to feed filament into the extruder barrel has a 0.5 pitch we are looking at a rotational rate of something like 18 rpm out of our little G4 gearmotor. That doesn't look to me like something that it couldn't do as it since it is rated at 70 rpm. Where the Mk II would have to be upgraded, however, is in the nichrome wiring for the extruder barrel. Right now you're using about 300 mm of .2 mm diameter nichrome to provide about six watts to the barrel. You'd need 13.5 times that, or about 80 watts, to run at 54 mm/sec. That's 4 metres of nichrome. You might want to think about one of those ISM sleeve heaters, except that you'd have to redesign the extruder barrel since the minimum diameter on one of those is about 20 mm. I mounted one of the new motors onto the Godzilla z-axis (horizontal). I had to widen the mounting hole, which I did with a wood rasp. Instead of bolting it down I used some of the ever-useful C-clamps to secure it to the bulkhead. At 12v friction within the z-axis structure of Godzilla reduced a theoretical 40 mm/sec down to 30.5 mm/sec. At 5.4 volts we timed the movement of the y-axis tower moving at 11.4 mm/sec. Extrapolating from those two measurement points it would appear that it will require somewhere in the range of 1.5 to 1.9 volts input to achieve 4 mm/sec. I'm guessing the it will be a bit more than that, maybe 2-2.25 volts. I know that 12v friction accounts for 23% of the motor load. At 5.4v it acounts for 36%. One can reasonably assume that for 4 mm/sec the friction proportion of the motor load will be even higher. Before anybody jumps to any false conclusions I am going to mimic voltages using pulse width modulation (PWM). Being able to run the z-axis at 30 mm/sec gave me some nice insights into the strengths and weaknesses of the design. At this velocity having the threaded power rod solidly attached to the bearings was essential. I used duct tape. Lock washers would be needed for a more permanent arrangement. Nuts tended to try to walk off of the threaded rod if they weren't solidly fixed and would do so very quickly. They also tended to take the bearings with them which caused all sorts of drama. At 11 mm/sec the operation of the z-axis was much more manageable. Interestingly, the y-axis tower vibrated a bit but only to the touch, not visibly. I suspect that I can reduce that by applying a thin layer of felt to the support feet of the tower as I had originally planned. At first blush it appears that Godzilla will be as designed a good test platform for extending the Mk II extruder performance up to 10 and perhaps as much as 15 mm/sec. My feeling is that the design will require a rebuild to achieve 20 mm/sec. Most of the problem of going much beyond about 15 mm/sec I think will happen in the x-axis bridge between the two y-axis towers. The Frankenmotors, because of their high torque, exhibit a considerable jolt on startup. For the z-axis motors this isn't an issue since they are solidly secured to the work table. Given the way I've designed the connection between the z-axis rails and the y-axis tower and the fact that the y-axis motors are not used while the extruder is in operation I suspect that a bit more felting will sort out the jolt of motor startup. The x-axis, however, will be a problem. 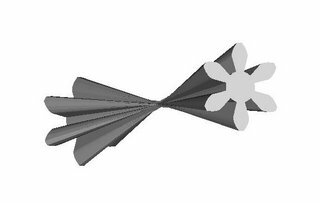 Startup jolt will tend to try to rotate the assembly in the yz plane. The y-axis tower's feet will tend to try to absorb this. At higher speeds, however, it could be a problem. We discussed avoiding startup and stopping nonlinearities by not trying to extrude during these operations. There are going to be some very interesting control and firmware challenges in achieving these sort of translation speeds. 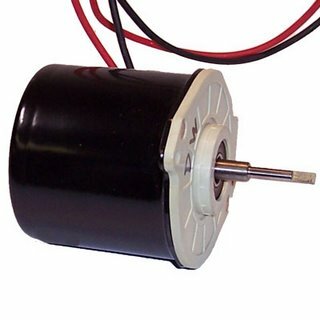 Well, the MECI 12v DC motors arrived but the magnetic shaft encoders didn't, which means that they won't be here till Tuesday. No big deal. The first impression of them is that they are HUGE! One of these would make 5-6 NEMA17's. I fed 12v to one of them and it made a serious attempt to jump off of the work table. At 5v and roughly 1000 rpm (16 mm/sec) it is still putting out loads of torque. 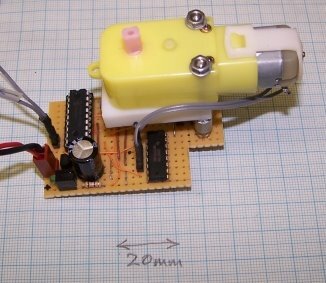 I connected a 1.57v AA battery to the motor and it turns at a rate that looks to be about 300 rpm (5 mm/sec). All three amperage measurements were for the motor in an unloaded state. I doubt that the AA battery was capable of delivering much more amperage than it did. The important bit, however, was that the motor turned smoothly at that voltage and delivered a considerable torque. Given the fact that this motor is a brushed DC motor measuring the resistance of the armature was a bit tricky. It appears to be about 0.7 ohms, however. You can find how to build it on the RepRap wiki here. It overshoots and oscillates about the final set position when set to move at high speeds. Though this settles quickly. It's accurate (256 steps per revolution). I don't think it's quite ready yet to take the position of a stepper motor, but it may well be possible to make it good enough just by improving the control algorithm in the PIC - that is, with no hardware modifications. It is certainly a good way of driving general devices with rotary feedback, and (I have yet to try this) it should allow rotation speeds to be precisely set and not to change with load. 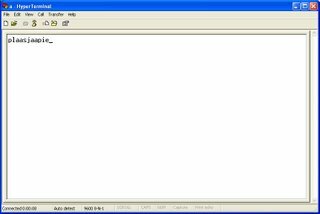 It's not wonderful, but it's a start and it's running at 9600 baud. 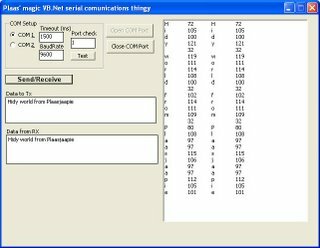 Shortly thereafter I massaged the VB.NET code for my serial comms programme. Smile! There has been some criticism of the decision to use Java, as it is not yet Open Source. Well, Sun have recently decided that they'll change the licencing for the Java Development Kit (JDK) so that it can be distributed with Linux, rather than having to be downloaded and installed separately. Here's the story. In short, it'll soon be part of Ubuntu, Gentoo and Debian. 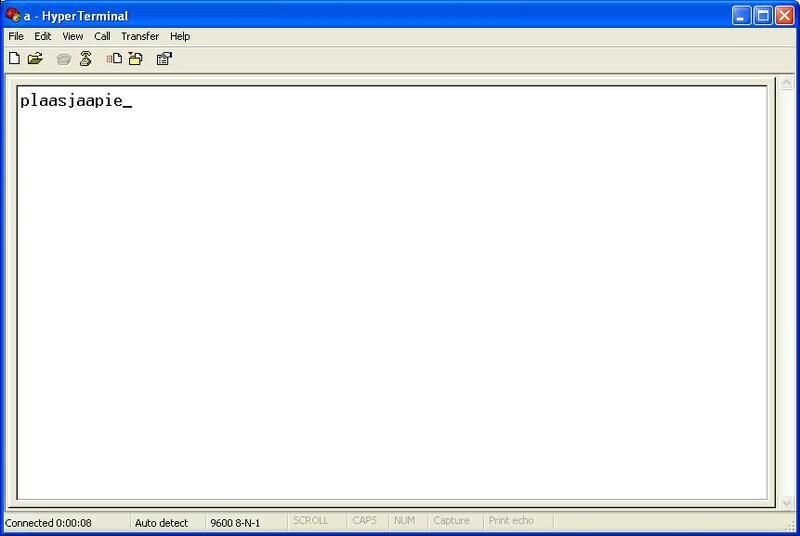 Simon has been beavering away in his lair, producing a number of interesting bits of code. He's added a "homing" function, to get all the axes to find their minimum location using the sensors. He's also written a better algorithm for setting the heater temperature to reduce overshoot. It's a bit enthusiastic, but we're working on it. I found a suspect inter-board cable and replaced it. That seemed to improve things a little. It appears that USB serial ports are still causing us trouble. 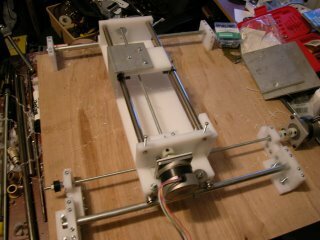 I'll need another serial lead to attach the RepRap onto the PC with for the moment. The electric screwdriver is now mounted and squirting happily. There is even an anti-backlash diode, which is needed now I'm using a TIP120 transistor to drive the extruder motor rather than a 754410. We discovered those don't have enough oomph. I also discovered they need an anti-backlash diode. Oh, and all the PC boards have sprouted smoothing capacitors. The upshot: I can now print 2 layers repeatably. Why only two? Run out of 3mm filament again, haven't I? I've found plastic chopping boards are good for rolling it out between. A fruitful weekend, and just as well as I'm off to Wellington next week for a couple of busy days. I can fit in a beer at the airport at 9pm Wednesday, Simon. My shout! 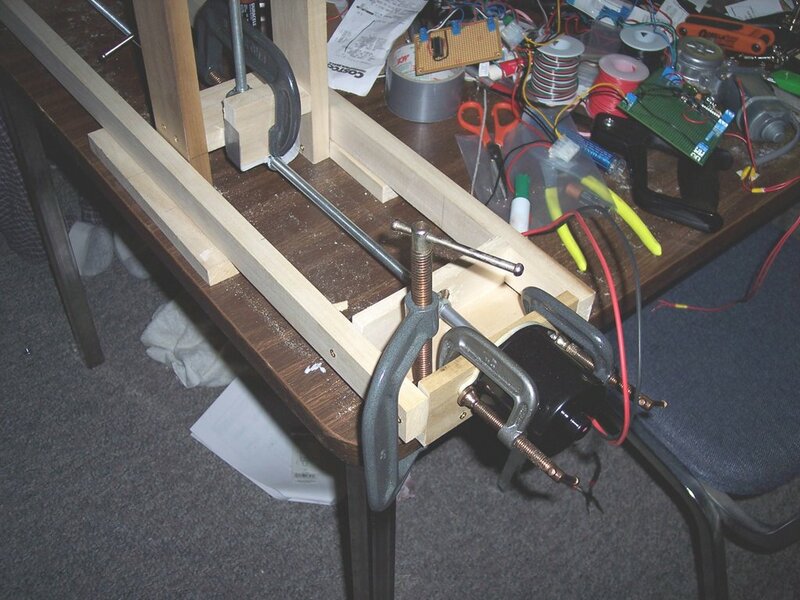 "The design for ARNIE Mk 1 was flawed using a tension transmission for its z-axis movement: uneven tension behaviour caused jamming at the z-bed/vertical bearing surface which prevented the z-bed from working properly. This was exacerbated by an unstable structure, under-engineered and poorly build-orientated components, a critical modelling mistake which caused damage to critical corner supports and over-constraint of the z-bed’s movement." I'm off to get drunk, and possibly wipe my face with my degree certificate. My attempts to make a reliable optical shaft encoder blogged back in January 2006 didn't work well (see the wiki page). Vik has been rabbiting on about the magnetic rotary encoder chips from Austria Microsystems for ages, and so I finally got round to trying them out. Guess what? They are beaut! There are two outputs which give quadrature (i.e. the phase tells you if the thing is going clockwise or anticlockwise). I used the chip that gives 256 steps per revolution (the AS5035), but they go up to 4096. The signal is clean reliable and easy to feed into a PIC. And the circuit is simplicity itself (though it needs to be soldered by ants, as the chip is SMT). For more details, see the Wiki here. Finally a big thanks to 2001 Electronic Components Ltd, who gave me four of the chips and their associated magnets free. Buy stuff from them. 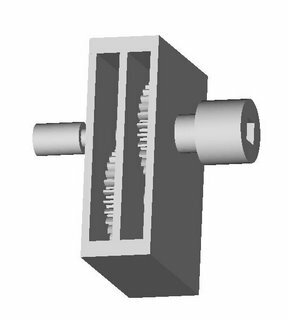 Steve asked: If you can do a helical gear, does that mean you could also do a helical shaft? Example: a 6" long, 1/2" diameter rod with 8 teeth spiraling up its length. You asked a very good question. 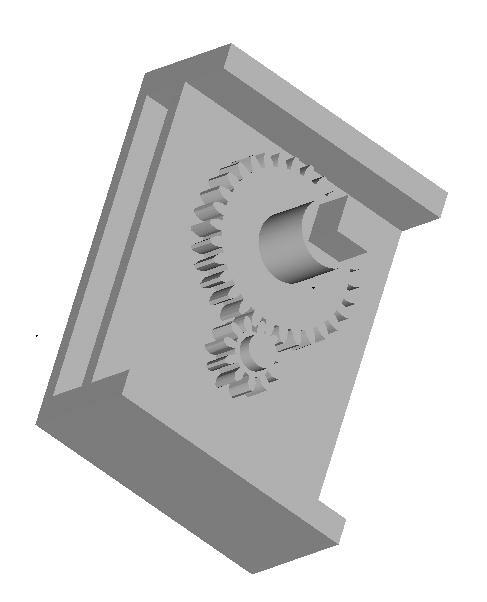 Turns out that we really can't even do a helical gear with the extrude feature as it stands. 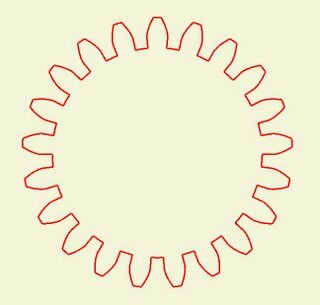 What we were generating only looked like helical gears. They weren't the real article since the helical twist wasn't helical, but only a straight line going in the same general direction. I ran your spec just to see if it worked and this is what we got. 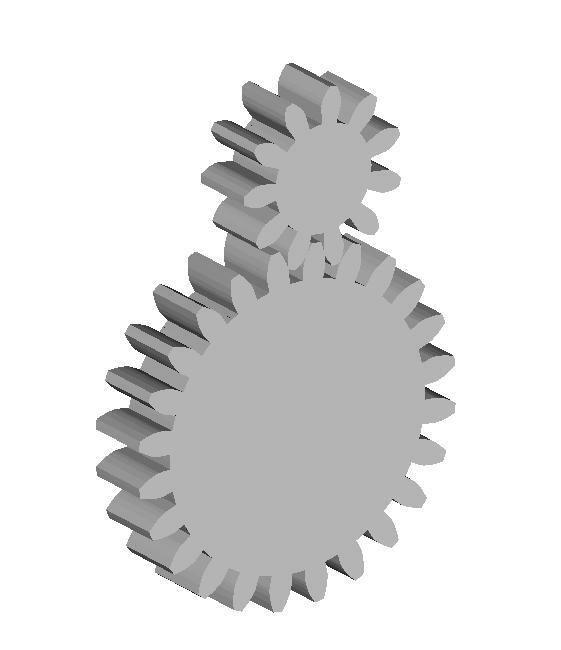 I gave the 6 toothed gear a 180 degree twist. As you can see the lines are straight, not helical. Great catch, Steve. Anybody want to rewrite the twist option on the extrude code? After thinking about it for a while, I bought five of these to see if I can go at it more efficiently from high rpm to low. The MECI people had a 20% off sale on this month so I got 'em for US$4.76/unit. 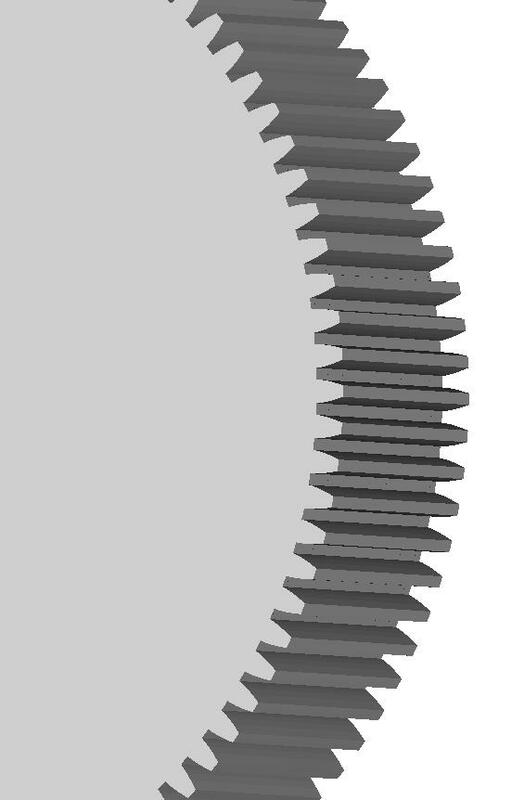 A 31:17 toothed gear train for it looks quite reasonable. With an enormous "Kerrrapppp!" I stripped the gearbox on my extruder. When assembling it, I managed to push the drive shaft into the gearbox a little too far without noticing. The last gear was then only half aligned with the previous gear, and when I powered it up it ripped half the teeth off. Bugger, as we say in New Zealand. So, next attempt will involve reformatting a Black & Decker 6V electric screwdriver - my rechargeable DSE screwdriver is far too nice to sacrifice :) Simon reckons it'll do well if the PWM output on the extruder is set to 50% but holding it in place is going to be interesting. Still, lesson for Forrest on gears - make 'em wide and strong as the ratio increases! Plainly, if I was going to keep the Godzilla design concept I had to have much more torque available at much higher rotational speeds. 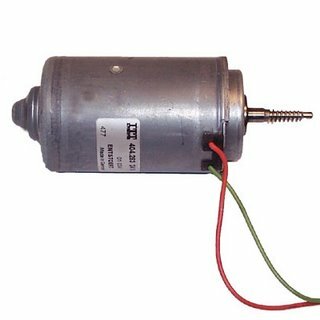 Some time ago I had acquired a pair of Siemens gearmotors designed to operate automobile electric windows. Those work on 12v power and have loads of torque. Yesterday, I drove the Godzilla z-axis with one of them at 12v and today I ran it at 5v. There is no lack of torque. At 12v the Siemens gearmotor gets 56 rpm. That drives the z-axis at just under 1 mm/sec. The Mark II Extruder is designed for 4 mm/sec and I'd like to think that it can be pushed to 20 mm/sec without a major change in design philosophy. The design problem, then, is to leverage the Siemens gearmotor into getting 4 mm/sec and 20 mm/sec if at all possible out of the Siemens. The obvious way to get that to happen is with a gearbox. 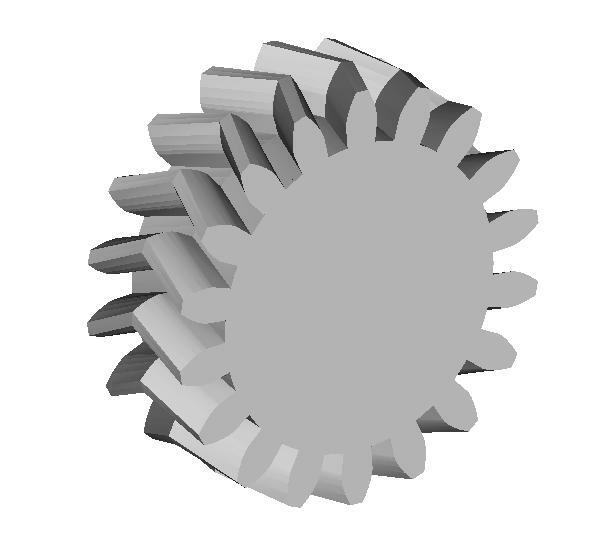 Last week, at Simon's prompting, I wrote a script to design proper (involute profile) gears. That done, this week I've set about to design a proper gearbox for the Siemens. My first design decision was to use a gear train rather than a simple pair of gears. This was more for space considerations than anything. It also conserves material in that going from 56 rpm to just over 1,300 rpm in one stage requires a rather enormous gear and puts some tremendous stress on the gear driving the threaded drive rod for the positioning stage. You can see the coupling for the Siemens gear motor on the right and the coupling for the threaded drive rod on the left. To give you an idea of scale the coupling collar on the right is 40 mm in diameter. Tilting the gearbox slightly to the right you can see a bit more. I've got to write a script to make a hexagonal profile since the collar connecting to the threaded drive rod needs to work with a long, hexagonal connecting nut. I used a square for now. My initial feeling was to make the whole thing on the Stratasys. I did some tentative quantity surveys, however, and decided that Adrian wouldn't be glad of that given the volumes required and the cost of filament. Here's a look inside the first stage of the gearbox with the top and connecting collar removed. There is a lot of deliberate commonality in the parts for ease of manufacture. Here's a look at the gear train with the housing removed. That two stage train gets you 7.8 mm/sec on the positioning stage. 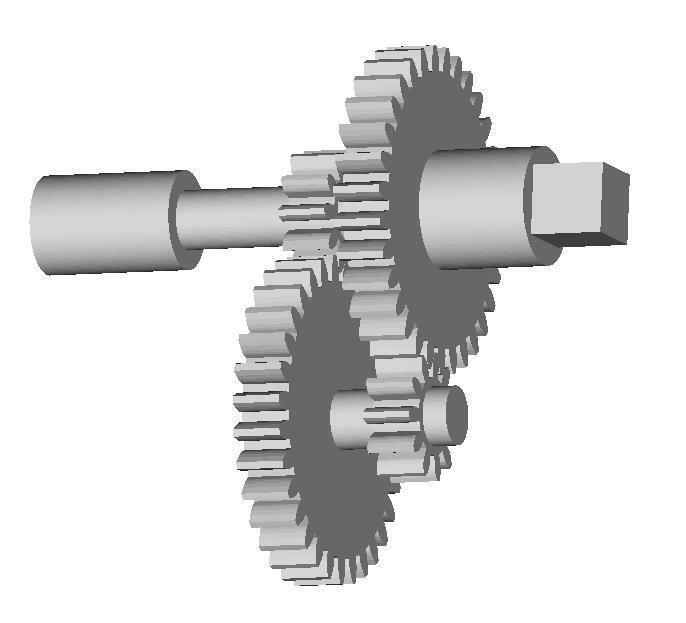 Add another stage to that using the same gears and you get 22 mm/sec. After I got the first cut of the volumetrics of the design done it seemed quite reasonable that I could use standard sheet HDPE to make the housing if I was careful. I was reinspired by seeing one of Sebastien's references where a fellow built a whole CNC machine using plastic sheet. Looking at the idea in a whole different way I'm sorely tempted to just get a heavy duty DC motor that runs at about 2-3,000 rpm and just step it down by half. ...draws 2.25 amps and produces 2370 rpm. A simple 1.8:1 gear reduction would produce 20 mm/sec positioning speeds. It costs U$5.95. ... goes for a ridiculous US$3.95 in one-off quantities. One final thing, removal and refill of the support material from the piping. A very simple method. The plumbing pipe is fixed into a carriage, and held in place with two plastic rectangular traps (which go into the two holes seen in the side of the body). The whole mechanism is allowed to swing away from the body, enabling the plunger to be removed from the piping and the piping contents (i.e. 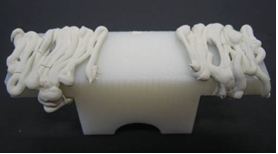 support material in the form of Polyfiller) to be replaced or refilled quickly. Then the mechanism is placed back into the carriage, which is locked up and the two traps slid back in place. All done in under a minute. Polyfiller is deposited from a fuly automated, motorised syringe. 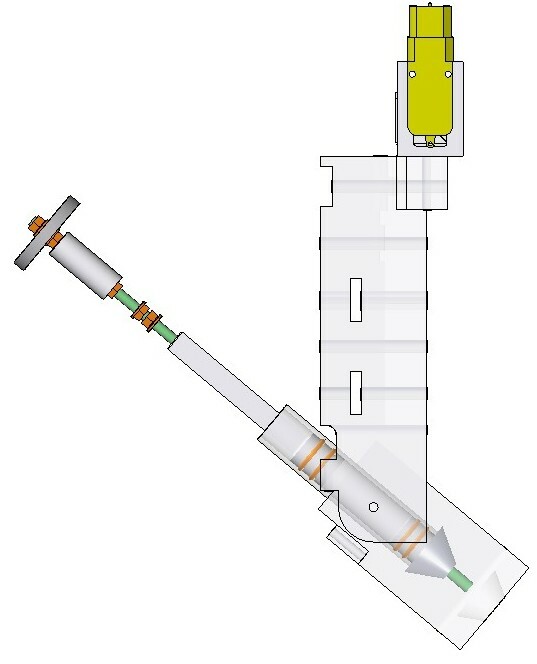 A threaded bar is rotated using a worm and wheel, which in turn moves an embedded nut within the syringe plunger up and down the pipe (standard 22mm plumbing pipe), forcing the Polyfiller through the nozzle. The mechanism worked successfully, although the size of the unit could be reduced. All the parts (except the nuts, bolts, threaded bar, nozzle and worm and wheel) were manufactured using the Stratasys Dimension RP machine. 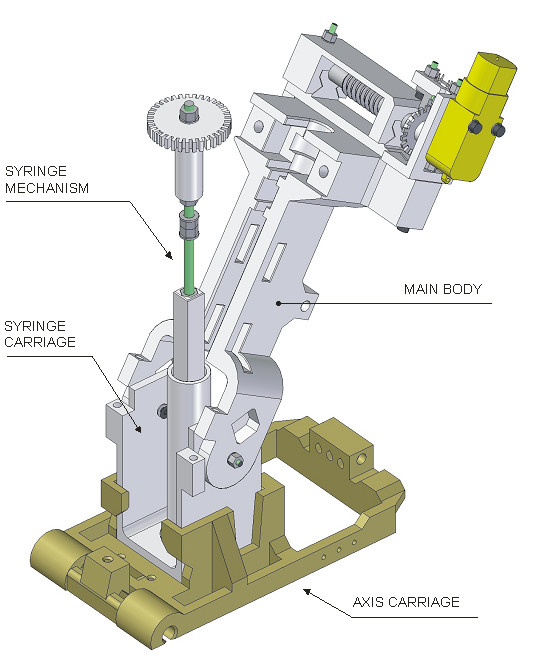 The motorised syringe was integrated onto Ed's axis and it allowed straight line deposits to be made. The current deposition rate is 4.49mm3/s with the 50:1 gear ratio (12V power), however the deposition rate can be significantly increased (or decreased). The plumbing pipe is 100mm in length and stores 18ml of Polyfiller. Desposit of Polyfiller using the motorised syringe. Some work is needed on controlling the start and finish of deposits, but this is just a matter of starting the syringe before the axis and timing the deposition and movement correctly, something easily done with a few further tests. It is also possible to utilise copper plumbing pipe should heating of the pipe contents be required. 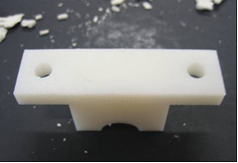 Hi, so my (James Low's) final year project under the supervision of Adrian involved investigating and proposing an alternative, low-cost support structure material for the RepRap FDM process and the means of its automated deposition. So here are my findings. Having had icing sugar proposed to me as an idea I quickly found that it was unable to be deposited at 0.5mm resolution and that it took a long time to set (over 1hour). However, Polyfiller was the perfect substance. I was able to deposit Polycell Fine Surface Polyfiller from a 0.5mm nozzle, creating a perfectly consistent line, which set hard within 2 minutes. An initial problem was that Polyfiller, once set, would not fully remove from the surface of an ABS part(although it would remove from the syringe nozzle if placed in warm, soapy water within an hour or so of exposure). But Adrian's use of vegetable oil as a releasing agent on the ABS cude (Blogged in April 2005) resulted in using it (veg oil) to see if it would aid Polyfiller's removal from ABS parts, which it did perfectly. ABS part (previously coated in veg oil) covered in Polyfiller. The same part after the Polyfiller had been removed. The vegetable oil was deposited as a thin layer using a brush, and it was also possible to separate Polyfiller layers from themselves. It could be best to deposit the oil from a felt tip pen, replacing the ink with oil, which could then be simply deposited as a thin layer in the FDM process. Ignore the cracked layer (it was cracked before the layers were separated). The pictures and information regarding the deposition mechanism for the Polyfiller will be added soon (next few hours). I sometimes wonder where innovation would have got in the past forty years without duct tape. I did a quick lashup of the Siemens gearmotor (designed for automobile electric windows) to the horizontal z-axis on Godzilla and fed it 12v dc. The Siemens gearmotor cranks 57,600 gm-cm of design torque vs the NEMA 17's 3,240. While I was having to constantly adjust the z-axis positioning stage with the NEMA stepper to get it to work at all, it was all that I could do to keep the thrust rod from unscrewing itself from the positioning stage with the Siemens motor running using about the same amount of current. The "load" of the positioning stage, such as it is, made no difference to the design spec'ed 55 rpm for the motor at 12v. That motor speed gives me, 0.87 rps on the z-axis positioning stage, about what we're currently getting with the NEMA 17. Turns out I'd managed to corrupt AoI or Java or both while I was writing the script. I reinstalled both and I can now generate at least 48 tooth gears and helical at that. I then decided to see if I could double that tooth count, so I went to 96 teeth and dropped the pitch angle to 14.5 degrees so that we didn't get weirdness in the profile. That worked fine, too. 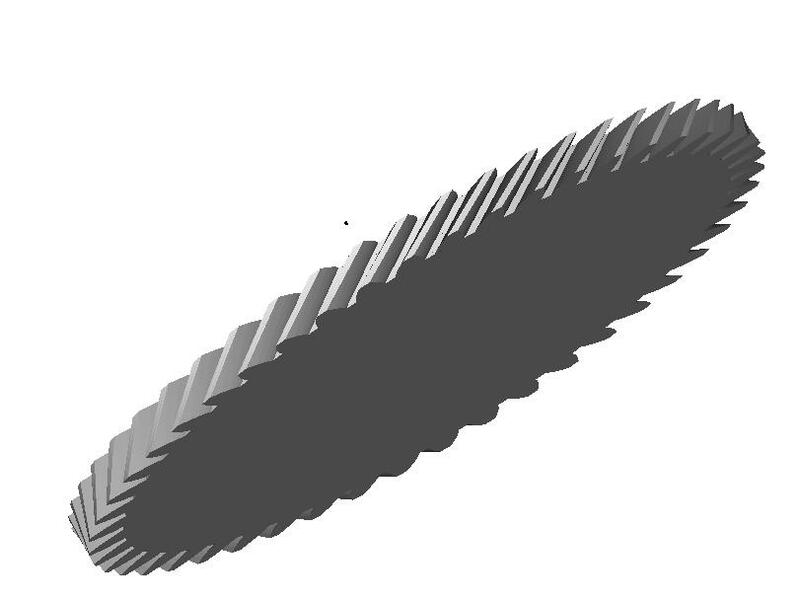 I pushed it again to 128 but at that point the triangular mesh feature wouldn't turn the profile into a surface for me. 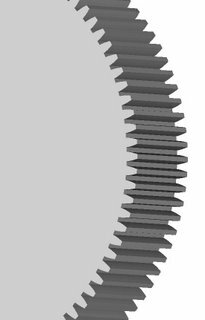 At 96 teeth you're talking about a 180 mm diameter gear if we are to keep the teeth at 3 mm. That's pretty big. 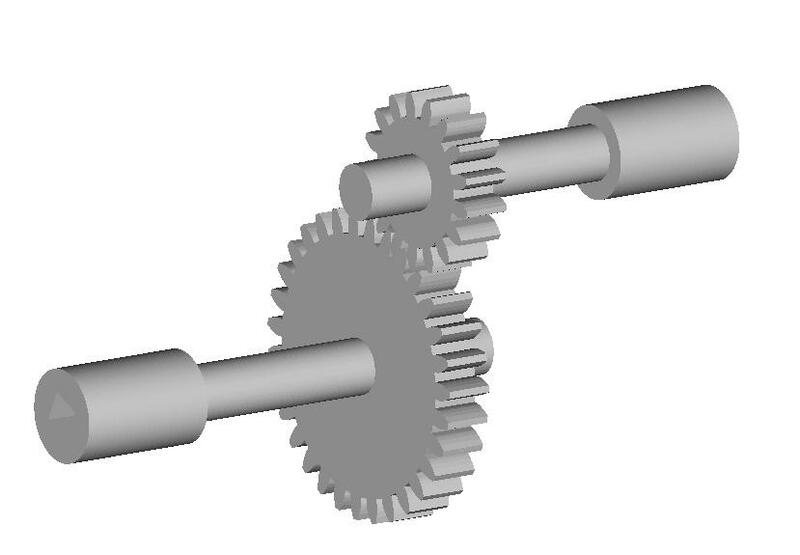 Now that we can make involute profile gears, why don't we make racks to go with them? 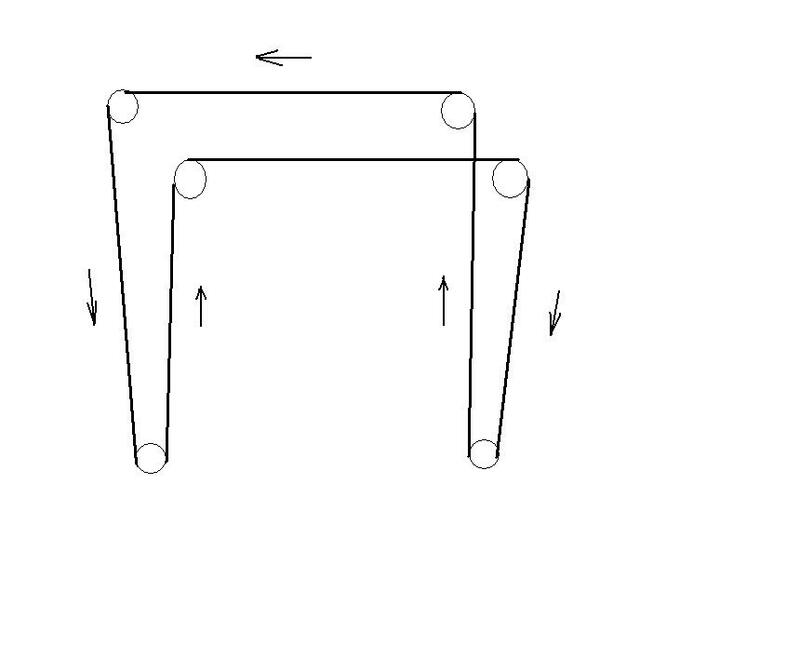 If you split the rack lengthwise and made it in sections of maybe 200 mm it would be relatively easy to design a sliding dovetail connection so that two lengths could be assembled to make one rack twice as wide. Stagger these sections and you could make a rack as long as you desired from 200 mm sections. Put holes in the sections that were a little wider than the bolt that went through them. Reprap an alignment template jig so that you could hold the two halves together while you secured them with nuts, bolts and lock washers and you are good to go. Lay a printed linear encoder strip beside your rack and you have a track that a positioning stage can use. A bunch of things have been bothering me lately. We've got good control boards for steppers and we've got good steppers with magnificent angular resolution. Unfortunately, stepper torque drops like a stone when you try to run them quickly. We stick these onto threaded rod drives like we see our CNC hobbyist friends using. These guys are running their systems very slowly because they are doing things like cutting patterns in a piece of wood with a router. When you are doing that sort of thing speed is not what you want, so steppers work magnificently. We're not taking away material, though. We're laying it down. Our productivity depends on how fast we can extrude material. 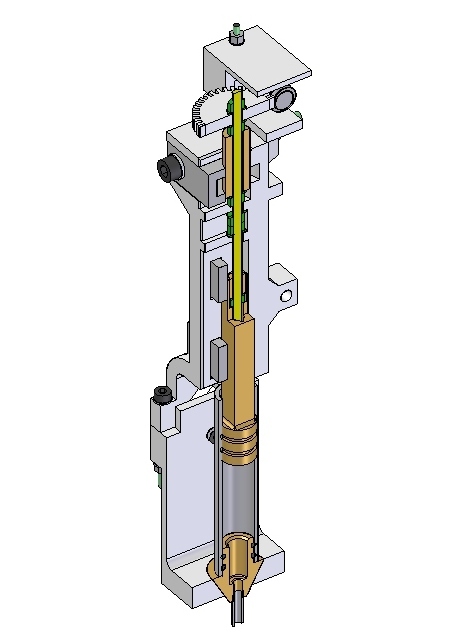 The Mk II extruder currently operates at 4 mm/sec. At a 50% duty cycle it will put down 1 kg of polymer/month. We need to be doing five times that to have a viable system. The current Mk II technology can probably be pushed into doing that by putting more energy into the extruder head and amping up the feed. Our current positioning stages are more of a problem, however. We can do about 1 rps with our steppers. Using threaded rod positioning systems that means we can move about 1 mm/sec. If we try to go a lot faster than that our torque goes away. We need to be doing twenty times that. The problem isn't with our control theory or with the steppers. Those are fine. The problem is the use of threaded rods for positioning. Threaded rods are fine for the vertical axis. Speed isn't an issue there. For the horizontal axes, however, they don't work all that well. Why not rack and pinion? Most of the CNC equipment that I've seen uses rack and pinion. 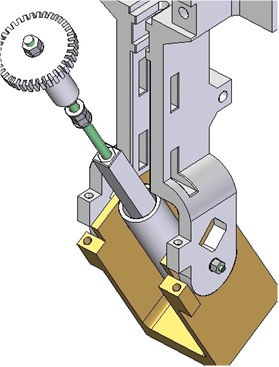 If we were to use our existing steppers to drive rack and pinion positioning we could get the speed we need without a lot of drama and without trying to make our control boards do things they were never intended to do. We're not trying to carve anything so our positioning systems can be light. Ed's string machine had a lot going for it in terms of using the method for keeping things aligned while applying force asymetrically. I think where the trouble began is when he tried to apply motive force to the cables. In Godzilla it would be relatively easy to use drafting board cable and pully technology to reduce the number of steppers needed and the complexity of the control system. 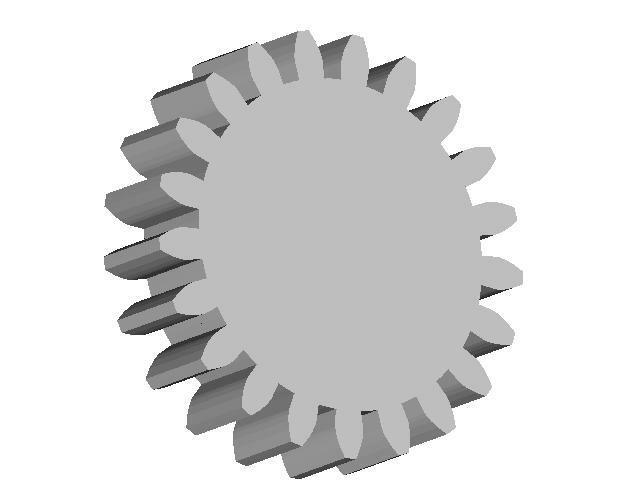 Can we produce gears of different sizes that still mesh correctly with each other? I think so. 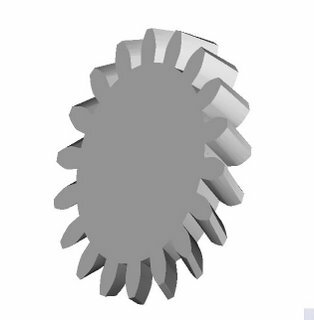 This routine figures the tooth placement from the pitch radius which, if I understand it correctly, is the place where the teeth of meshing gears interact. What you do is decide on a pitch radius, say 130 mm and 13 teeth. Then you if you wanted a 13:6 gear ratio you'd go for 60 mm and 6 teeth. I did that and then placed the two gear centers 60 mm + 130 mm away from each other. As you can see they mesh very nicely. Here's a gear pair with a 24:11 ratio. It took me about a minute to design it on Art of Illusion. We have an involute gear script! Just got past the last peculiarity of the Beanshells scripting language and the gear profile displays. It would have never been possible without Vik's cog script as a starting point and his advice at critical moments. I'll be passing copies of the script around to the team as soon as I do a little code cleaning on it. Something that looks like square and hexagon! OK, now you decide. Can you tell which is the square and which is the hexagon? There are 3 layers, roughly a whopping 0.5mm thick. 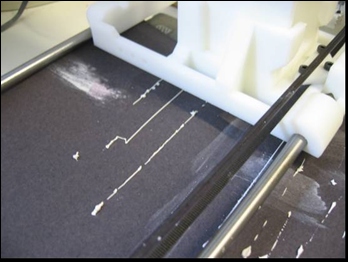 The Z-axis was handled manually between layers, otherwise it was completely automated. The nozzle was the same huge 1.5mm worm-squirting monstrosity (about 0.5mm dia) as last time. There is video if anyone is interested. The first edge of the square failed to extrude every time, which we'll have to deal with when we start calibrating things. But for a first-off attempt with next to no anti-backlash and zero calibration I'm pretty pleased. I think we're on to a winner here. * Progress the virtual comms and testing infrastructure (see svn branch), which will soon allow me to complete the remainder of the comms infrastructure. This will eliminate those occasional pesky errors. * Updated my old graycode wheel perl script and put it into the reprap subversion repository. See reprap/misc/graycode in subversion. * Using new graycode script, produced a template for a bi-directional position sensor for a DC motor controller. 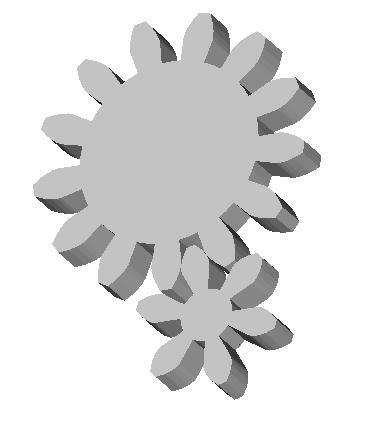 * Tried out my previously imaginery process for turning PC artwork into plastic objects, pre-reprap. Potentially a useful process for "repstrapping" with kitchen level technology. * Some work on reprap application to eliminate most of the hard coded magic values and make them customisable via the preferences screen. * Span (degrees). 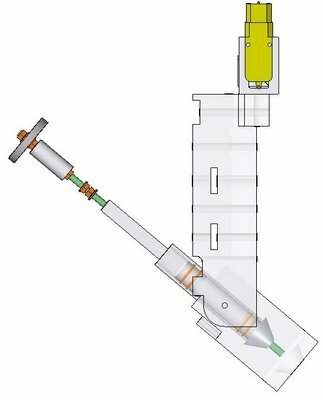 For angle sensors, it's often useful to use less than the full 360 degrees. * Stagger (~mm). 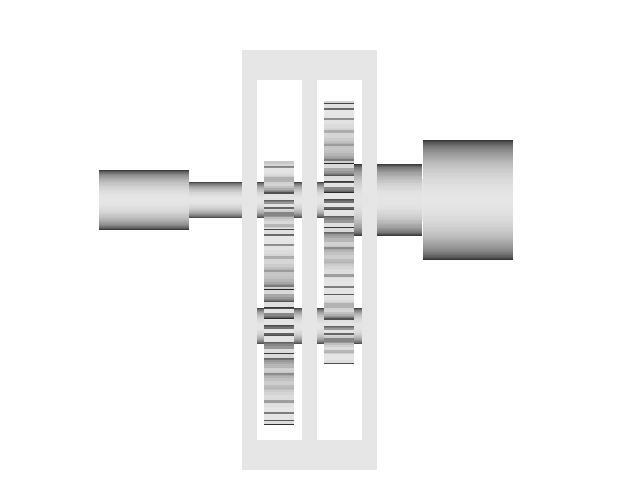 Stagger between sensor positions. This allows bulkier sensors to be used and the graycode rings are offset. The application also produces a cutting/placement guide that should where the sensors should be placed, which is pretty essential when staggering. * Reps. The number of repeats of the graycode pattern around the wheel. 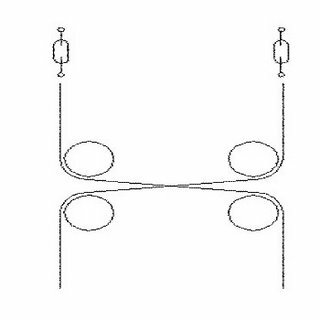 This is the new feature needed to make a mechanically balanced wheel for a fast turning position encoder. I started to add STL support a while back, but that's not even close to complete. 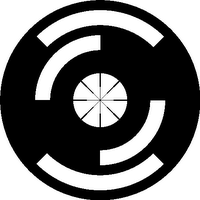 The primary output is a bitmap ready for printing on a laser printer. 1. 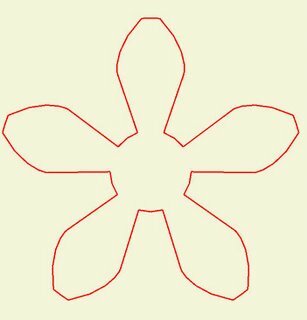 Print out object onto tracing paper with a good laser printer (new toner). Inkjets don't work as the inks are UV transparent. 2. Take a piece of thin steel, and spray it with PCB photo-resist. Bake dry for impatient people like me. 3. 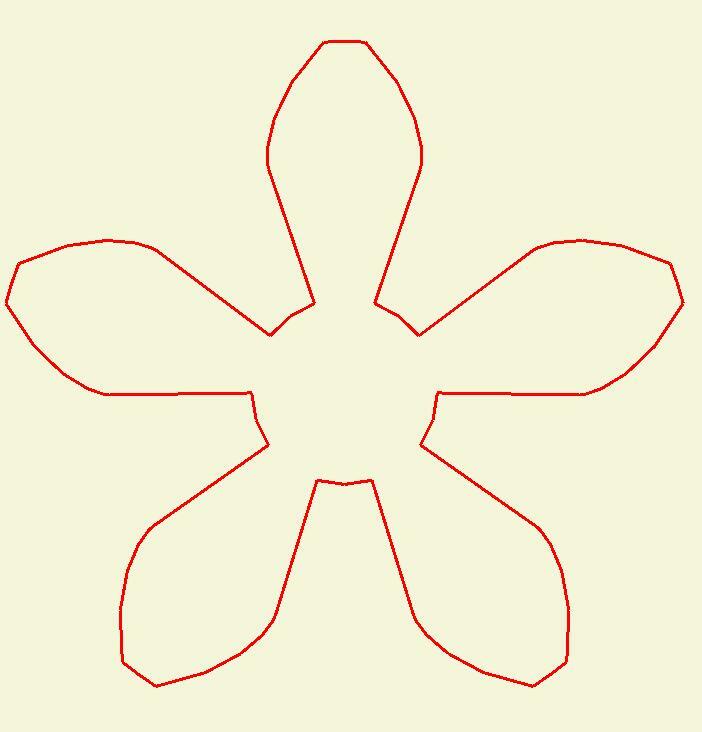 Place tracing paper pattern on metal. Cover with thing sheet of transparent plastic (not glass which is UV opaque) to hold pattern close to surface. I used the plastic from a CD cover, whatever that is. 6. Using electrolysis, "melt" away the unprotected part of the pattern, leaving a thin metal version of the pattern. Alternatively use copper sheet, and use ferric chloride to remove unwanted metal. 7. Press metal pattern into molding plasticine. Pressing it deeper makes a wider part. 8. Create plaster of paris mold from plasticine and let it dry. My goal was to produce one of the gray code sensor wheels and Forrest's sample involute gear pattern. I tested steps 1-5 but it seems my photo-resist is a bit too old now. In fact it's quite a few years beyond it's "best by" date, so it's time to order some more. The patterns were not holding well enough for me to carry out the remainder of the steps. I will try again when I get some more photo resist, but all the local suppliers seem to have stopped selling it. I'll try RS. 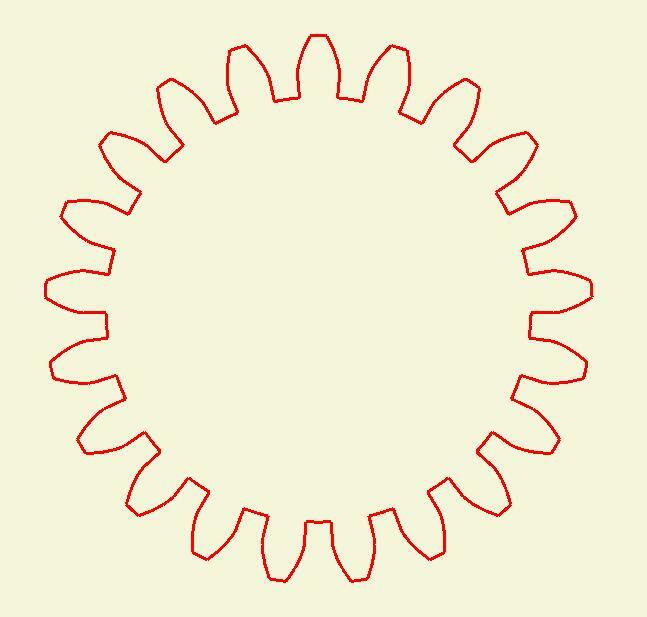 I have previously tested steps 7 to 9 using PLA to produce some gears. It works quite nicely but destroys the plaster mold so it can only be used once. It also takes a bit of scraping to get excess plaster off the gear before it will work nicely. So all steps tested, but not quite working yet. I had a break in one of my 12V power tracks (reinforce them all with solder, boys and girls) and a stepper moving too fast. The combination of those two produced yesterdays "Blobs From The Dark Lagoon". I think I still have my Y-axis reversed. I guess all that's left to do now is roll some more CAPA and have another go at extruding. We'll see how far I get tonight. I've had my first bash at the Produce test that Simon has written, using some actual hardware that has miraculously behaved long enough. This revealed a few interesting things, like my Y axis is half the scale of the X, my X axis is actually reversed, and that the best substrate so far seems to be a piece of paper. I didn't add fillets and roundings, mostly because for the size teeth we've been talking about, viz, 3 mm or so, I doubt that our repraps will even see that sized detail. I also used straight lines for the base between teeth and the tooth crowns for the same reason. If this proves to be a problem I'll expand the code. I'd rather not get caught up in guilding lilly exercises just now. I just want to make a drive train.